After producing hardware for other handheld manufacturers, HTC has started selling its own-brand products. The HTC MTeoR (£299 inc. VAT) is a smartphone, and runs Windows Mobile 5.0. Setting it apart from rivals, it's the first Windows Mobile phone to feature 3G technology, making it the ideal out-of-office companion. The bright 2.2-inch screen features a 320 x 240-pixel resolution, and is particularly sharp. The OS is navigated using a small joystick and, although a touch fiddly, it works well. There's also a jog-dial on the side of the device, which lets you scroll within documents. A 300MHz chip offers more than enough processing power and we noticed little lag when running applications. Download times and browsing the internet is also rapid, thanks to 3G and EDGE technology. We found call quality to be good. With a weight of 120g, the phone measures just 15mm in depth. We found that although tactile, and raised from the surrounding area, the keys were too small for comfortable writing. However, a series of hotkeys make it simple to launch the internet browser or check your messages. You'll find support for push email, which enables you to receive your emails instantly. Unfortunately, the standard phone keypad layout restricts use when it comes to sending emails. The inclusion of Outlook makes it easy to sync to your laptop, and setting up calendar details and reminders couldn't be easier. Although you won't be able to edit documents, a PDF viewer lets you open Word, Excel and Power point files. 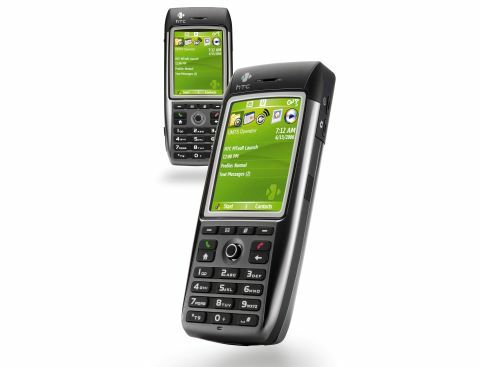 Features include a 1.3-megapixel camera, although there is no flash. Bluetooth is also included, which lets you transfer files to other devices. The MTeoR is a competent device, and the inclusion of 3G is a welcome one. Despite this, it doesn't offer anything truly outstanding, and the fiddly controls hamper usability.